Enzo (gr. 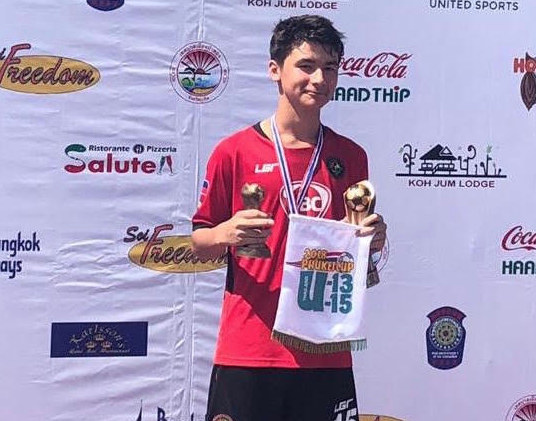 8) and his team, KAYA FC, played for the Philippines in the Phuket Cup at the Thanyapura Sports and Leisure Club in Phuket, Thailand last November 30 – December 2. Their team placed second in the 13 and under age group and Enzo was awarded Player of the Tournament. Way to go, Lion!